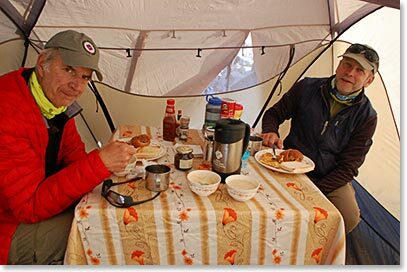 Island Peak dispatch: May 5, 2017 – Island Peak Summit! May 4th, 7:00 AM! May 5, 2017 – Island Peak Summit! May 4th, 7:00 AM! 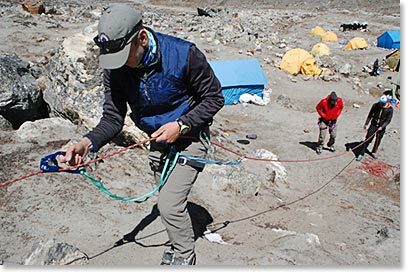 Temba called us this morning with the exciting news that Chris reached the summit of Island Peak, yesterday morning! 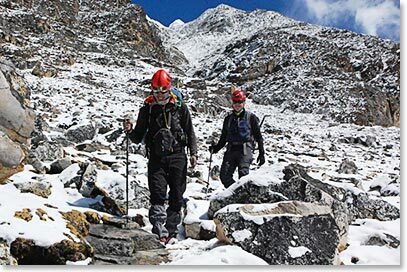 The weather in the Everest region so far this season has been somewhat unsettled with plenty of rain and snow at different elevations. 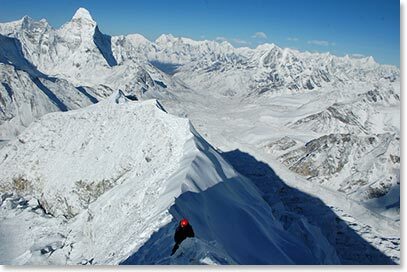 But the Island Peak portion of the trip was perfect, “Very lucky” as Temba says. 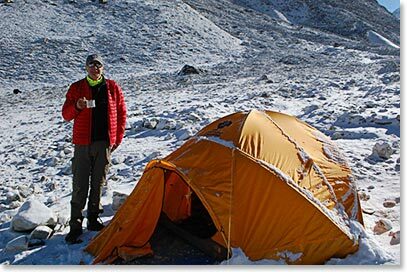 Mark and Chris both went with the Sherpas to Island Peak High Camp (elevation 18,400 feet). 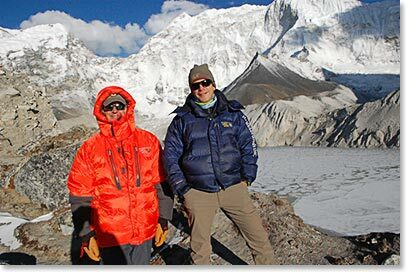 From here, Mark decided he was satisfied with his mountaineering accomplishments for this trip and Chris continued on with the more technical climb all the way to the summit. 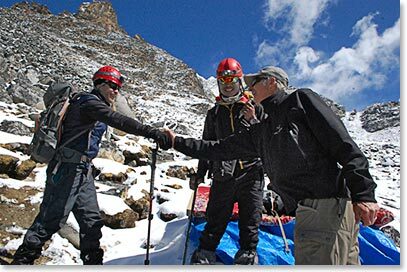 By 4:00 PM on Friday (May 5) the team was all the way back to Pangboche! 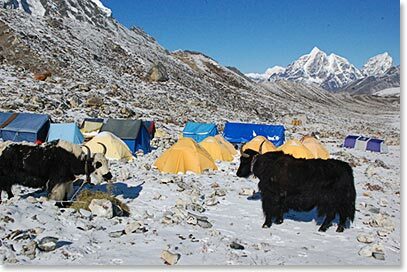 They have gained an extra day now by using the first alternate Island Peak summit day and they plan to use it by spending two nights in Namche on the way down. Congratulations guys! 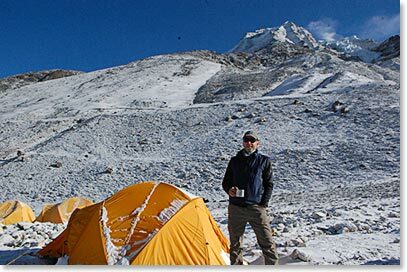 We love the photos and we look forward to hearing more from you as you head down the Khumbu Valley and onto Kathmandu. Chris on the summit of Island Peak, 20,305 ft.